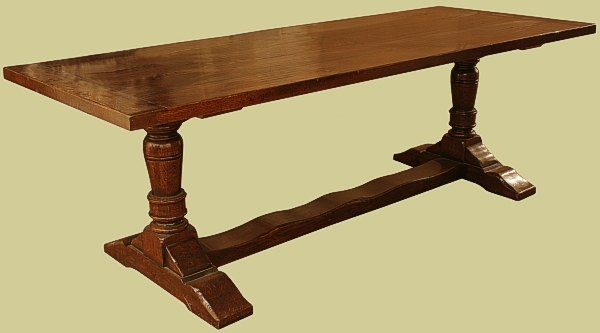 Traditional styled oak pedestal dining table, fully upholstered side chairs and bespoke oak glazed display cabinet. 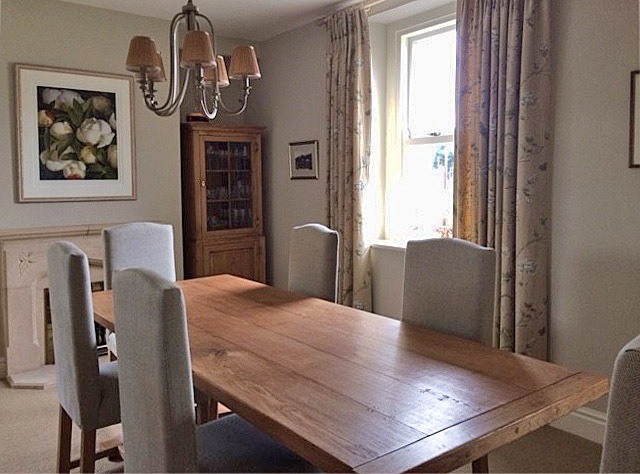 Photo kindly sent in by our client, from Derbyshire, this view shows our clients dining room furnished with our Berwick semi-bespoke table and chairs, together with a specially made storage unit. The latter piece was based on our Wilmington range astragal glazed corner cupboard, which our client asked us to re-design for their alcove (link below). 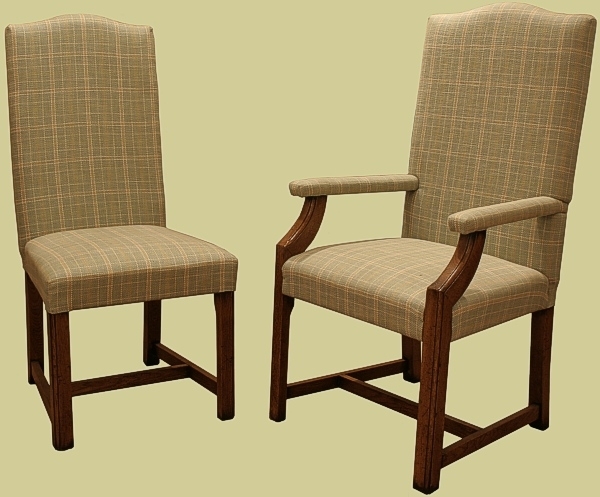 All the pieces were finished in our Chalvington range 'Oatmeal' colour.